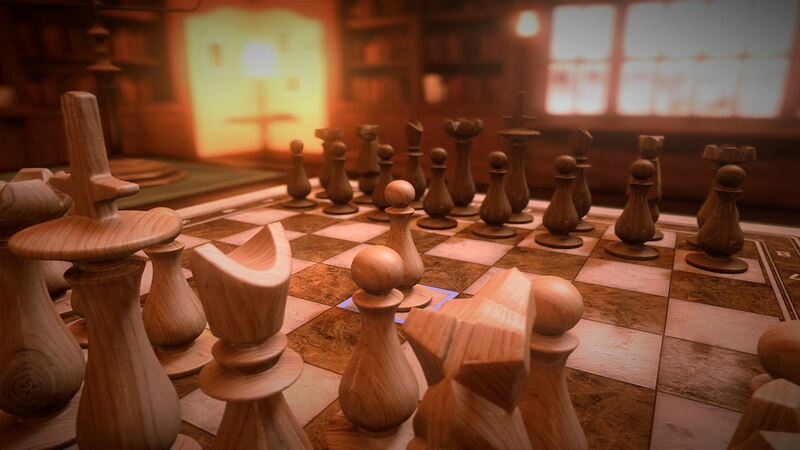 A chess videogame doesn’t actually have to do very much to be passable these days. Just have some decent A.I. for solo play and make it easy to play against other humans either locally or online and you’re good. 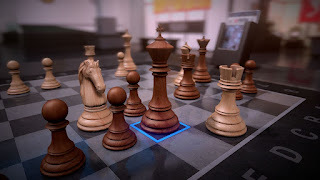 Pure Chess: Grandmaster Edition gets the fundamentals right, has tons of features, and wraps it all with gorgeous presentation that really gives the classic game the respect it deserves but, unfortunately, seriously stumbles when it comes to online play. See our full Pure Chess: Grandmaster Edition Xbox One review for details. Pure Chess: Grandmaster Edition is a comprehensive and fully featured chess game suitable for players of all skill levels. It features ten difficulty levels to test you skills against the A.I. as well as an extensive set of tutorials to teach you how to play if you’re a true beginner. For more experienced players there are 100 challenges where you have to figure out how to get checkmate in a limited number of moves. There are also tournaments where you have to beat increasingly difficult A.I. opponents to advance. There are an impressive number of options available in Pure Chess: Grandmaster Edition to alter A.I. behavior, allow you to take back moves, and more. You also get to choose from several different styles of chess sets, including what materials they’re made out of, as well as play in several different locations and even what (subtle and smooth and atmospheric) music plays in the background. A lot of attention was given to make the game classy and refined, just like chess deserves. Playing local multiplayer or against the A.I. works just like you’d expect, but the online play mode is set up strangely here. 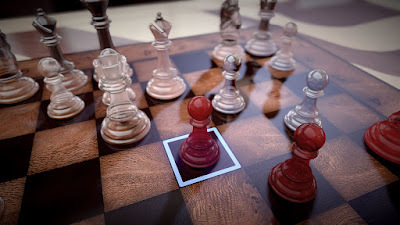 If you find a person who is actually paying attention and plays quickly you can finish a game and have a fairly good time, and there are no weird load times between moves like in previous versions of Pure Chess on other platforms. Not everyone seems to want to play quickly, however, and since there are no time limits to force your opponent to make a move, games can stretch out over unreasonably long periods of time. The game even lets you play a sort of “play by mail” style of chess where you can play the same game against the same person over the course of several days if you want because there are slots to save multiple ongoing games at the same time. That is fine if you’re playing against a friend or family member and it could be a fun shared daily ritual or something, but allowing games against random players to just stretch on endlessly seems odd to me. It just invites other players to waste your time. Even worse, some people give up and stop playing entirely but that abandoned game sits in your saved game slots until one side or the other actually resigns, which counts as a loss so no one wants to do it. There is also no in-game voice chat, so you can’t even talk to the randoms you’re playing against. All of this adds up to an online experience that, depending on the opponent, can be anywhere from enjoyable (if they play quickly) to unbearable (if they dink around and waste your time). I also really dislike the feature that sends you an Xbox Live notification every time it’s your turn. I can see how that would be useful if you actually wanted to play a slowly paced game over several hours / days / months and need to be reminded, but getting 43,090 pop up notifications in 30-minutes while playing a normally paced game with an attentive opponent is totally obnoxious. And there’s no way to turn that feature off in-game. You have to turn off notifications entirely on the Xbox One dashboard to save yourself from the bombardment of messages. That’s nuts! The Pure Chess series has a history of poorly implemented online features like this, so it sort of boggles the mind that they keep releasing them with the same problems people complain about over and over again. Online play is, admittedly, smoother in the Grandmaster Edition that it has been in previous releases, but it is still far from optimal. The whole appeal of online chess is to be able to play with another human being any time you want, but with no chat to keep you entertained and no time limits to keep the game moving, playing online is a boring chore more often than not rather than being fun or satisfying. One area that Pure Chess: Grandmaster Edition absolutely nails is the presentation. The game looks totally gorgeous and stunningly realistic thanks to great looking environments, exquisitely rendered pieces, and remarkably good lighting. Seriously, the game looks amazing. It also sounds very good too with a nice selection of subtle and smooth music genres to choose from that really set the mood and let you concentrate. In the end, Pure Chess: Grandmaster Edition is the same old song and dance from the franchise. It has great presentation, a ton of options, and is amazing for solo play or local multiplayer, but the online aspect is a total letdown if you play with anyone other than friends or family. Even if you don’t care about online play and only want to play solo or locally, the $12.49 asking price is a little absurd considering the massive selection of cheaper or free chess options available on pretty much every platform under the sun. It is a shame, too, because Pure Chess: Grandmaster Edition is such a great chess game in almost every other way besides the online aspect. Wait for a sale.